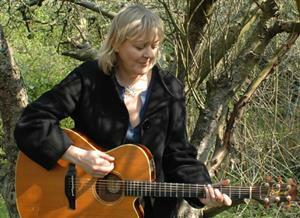 Singer/songwriter Cindy Stratton produces beautiful, timeless music. Her albums showcase a fantastic ear for melody and harmony. Fresh from the finals of the Gibraltar song festival, she will be joined by band members Marius Frank, Ali Nourse and Susie Wright fora magical evening of exceptional singing and musicianship. Local singer/songwriter Ellie Frank writes music from the heart. Taking influence from family life and the wider world, expect an intimate and soulful performance from this up and coming artist. Rosina Keri combines her witty and passionate lyrics plus experiments with a harmonic and emotive style to represent her own sound portraying a melancholic ambience that reflects both her Bohemian and spirited character. Sign up to our mailing list to get regular updates about the arts in Bath. Bath Box Office is a part of Visit Bath Limited.